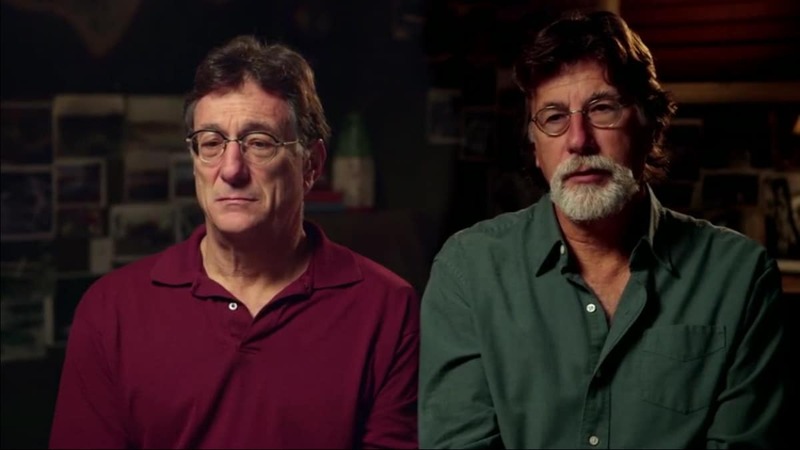 On The Curse of Oak Island this week, Rick and Marty Lagina along with Craig Tester waste no time meeting up in the war room to discuss the dire situation they find themselves in. They have just weeks to go before winter weather brings this year’s activities to a stop, and it’s been one week since the excavation at the Site 3 borehole ended due to a labor strike that could last up to 21 days. Marty calls for the team to continue the Smith’s Cove excavation, then reassess where they stand. “Maybe it’s time to call it quits for the year,” says Craig. The tension continues to build as Rick states, “I don’t like to fail, I don’t like giving up,” but concedes that they must come to a team decision. Marty’s dislike of the stinky swamp is no secret. 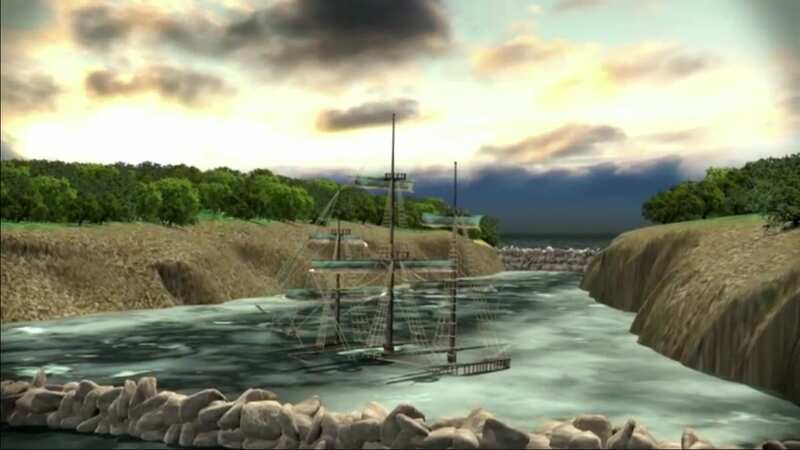 But they have made intriguing finds there, such as a 1652 Spanish pirate coin, a large iron spike, and deck planking, lending credence to the late Fred Nolan’s theory that the swamp was artificially created centuries ago in order to hide a large sailing vessel. At Smith’s Cove, the team watches as crane operator Billy Gerhardt continues to scoop out piles of earth as the massive beach-area excavation continues. Metal detecting expert Gary Drayton has found no metal today, and there has been no new pottery or glass uncovered at the wash plant. When a corner of the structure is found entrenched in the mucky mud, the excitement grows and the team starts digging by hand, finding wooden slats. If this is a shaft that predates the Money Pit, it could be a breakthrough discovery. Then, when they see water moving out from a pile of boulders, it’s theorized they may have found one of the five stone box drains. “A heck of a lot of work went on down here,” says historian Charles Barkhouse. Alex Lagina thinks this could mean they are close to the convergence point where the box drains join to form one tunnel leading to the Money Pit treasure shaft. 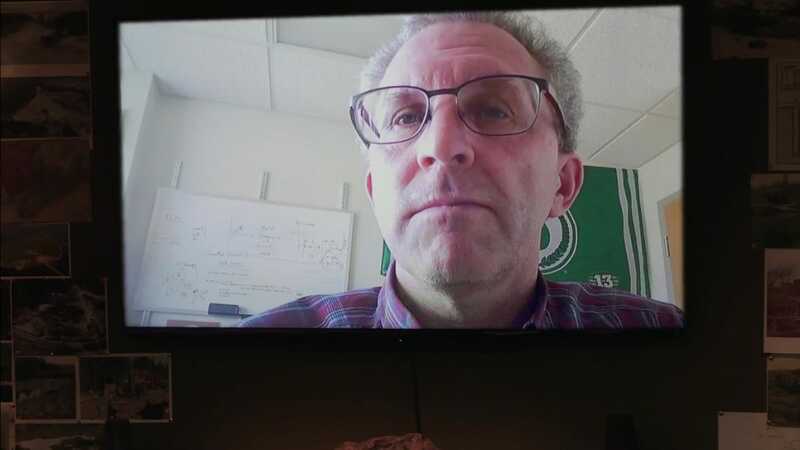 Elsewhere the team talks to Chris Donah, a theorist, in the war room. 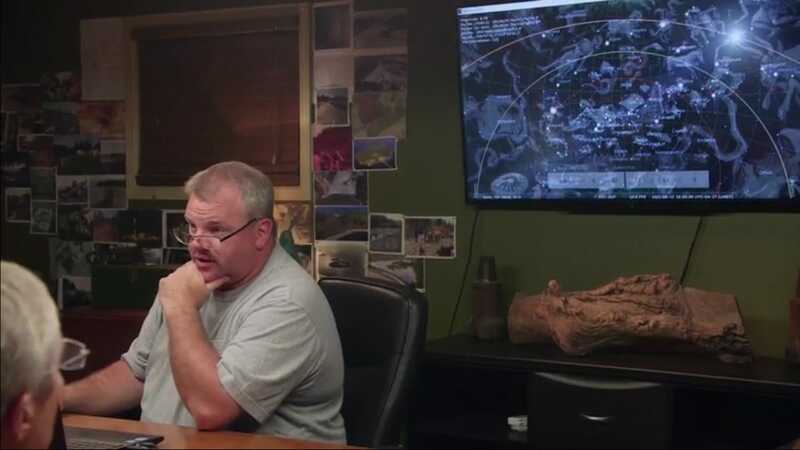 He presents the team with information about constellations and explains he believes the stars were used to map out things on Oak Island, such as treasure locations. To this, historian and researcher Paul Troutman says, “As above, so below,” a reference to the theories some believe about the stars holding the key to finding treasure. According to Donah, he believes that the star Spica, in the constellation Virgo, marks a significant spot on the eastern edge of the swamp, perhaps representing a back door to the Money Pit. 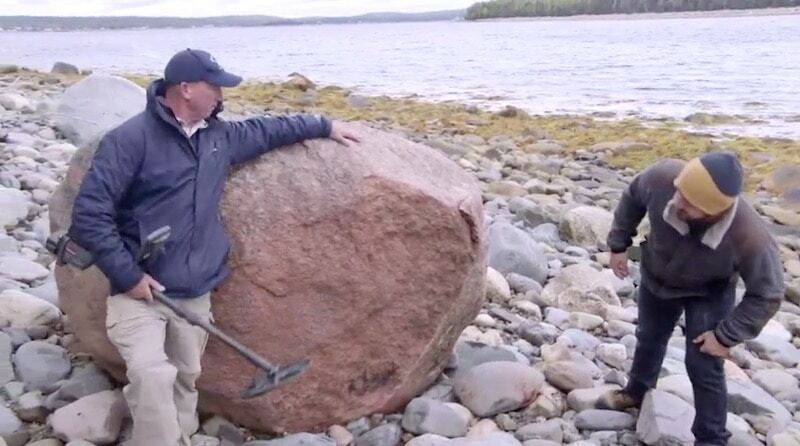 Rick tells their guest that he and the team are always ready to hear the theories of Oak Island enthusiasts such as Donah because they have obviously done their homework and put in a lot of hard work to arrive at their conclusions. The others nod in agreement. Meanwhile, reps from Eagle Canada arrive at the swamp, in preparation for a seismic survey of the muddy marsh. Prior to their arrival, the team spent two days draining the roughly four-acre area and put down wooden planks for the experts to walk on. In all, more than 2,000 explosive charges will be set off, with 4,000 recording devices known as geophones, recording data. Each blast sends sound waves below the earth to create a data diagram which hopefully will reveal any structures below. “I think seismic is going to yield some significant results,” states Rick. It could date to the early 1600’s due to the fact that it has a hole punched in it, meaning it could be from one of the colonies. Could this disfigured coin be a key to who came to the island before 1795? Elsewhere, the team gathers in the war room to discuss the results of dendrochronology testing on the Smith’s Cove structures, including the slipway and U and L shaped structures. Colin Laroque, professor of Climate Science at the University of Saskatchewan tells the team that his data reveals the slipway was made of red spruce dating to 1771, meaning it predates the Money Pit. “This is quite impressive,” says Rick. Craig adds, “That’s huge,” when it’s revealed that the slipway is some two decades older than the 1795 discovery of the Money Pit. Next, they learn that the U-shaped structure is well preserved red spruce from 1769, meaning it and the slipway were put in at the same time, making this revelation the biggest thing that’s happened since they started working on the island, according to Marty. A clearly happy Marty says that he was about to call off the archaeologists and call in the psychiatrists since nothing was making any sense up to this point! Discovering that something very significant happened in Smith’s Cove years prior to the Money Pit, “To me it’s gigantic,” Marty says, calling it an extraordinary breakthrough, and indicating that all the money and work poured into the massive treasure hunting project to date has not been in vain. This latest evidence of a large engineering project as early as 1769 corroborates evidence and stories that treasure was brought here and buried centuries ago. Is the team on the verge of making a historic discovery that alters the record books?